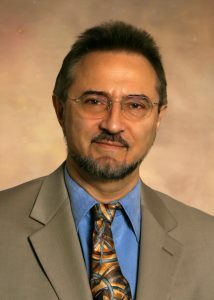 In addition to his faculty position in Aerospace Engineering, Levitas holds a secondary professorship in Mechanical Engineering and is a Faculty Scientist at the Ames Laboratory. Recent research awards include the Khan International Medal for outstanding contributions to the field of plasticity (2017) and the Iowa State University Award for Outstanding Achievement in Research (2016). Learn more about Dr. Levitas, his background and research achievements on his Department of Aerospace Engineering web page. Anson Marston, the award’s namesake, was an educator and engineering department head at Iowa State University, and was influential in the development of the College of Engineering and the Iowa State campus. The honor will be conferred on Levitas at the University Awards Ceremony in September of 2018.